Fifth year sponsoring and exhibiting at the largest podcasting conference. Podcast Movement will be in downtown Philadelphia. Don’t miss out on the most important podcast conference of the year and save 10 percent on your ticket when you use the code Blubrry. Ticket prices will go up as the summer moves along so don’t delay. State of Podcasting panel, Tuesday July 24 1:30-2:15 p.m. Proven Social Media Strategies II, Thursday, July 26, 10-10:45 a.m.
What You Need to Know about Podcast Hosting panel, Thursday, July 26, 11-11:45 a.m. Using Music in Podcasts panel, Thursday, July 26, 1:15-2 p.m.
Past: Proven Social Media Strategies, State of Podcasting, by Todd Cochrane. Blubrry workshop for our service, PowerPress Sites, in Chicago 2016. 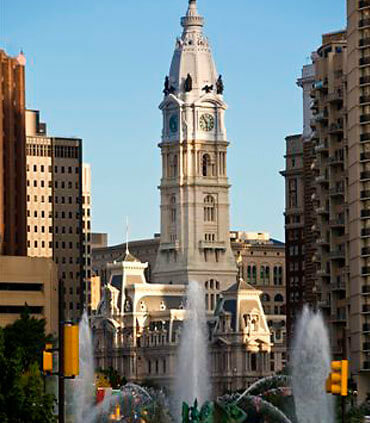 Keynotes this year include Terry Gross from NPR and Pat Flynn of Smart Passive Income. If you’re interested in learning about why Blubrry is the best is the podcasting biz and the amazing services we offer, drop by. Todd Cochrane, MacKenzie Bennett and Mike Dell will be there to chat about all things Blubrry and podcasting. They’ve all been to Podcast Movement many times so they’ll have some stories to share as well. We make new friends every year and can’t wait to see all of our old friends. The exhibit hall will be open Tuesday and Wednesday. Check in on the full schedule here. We’ll have some swag available as well as a code for 3 months FREE of any Blubrry service, you just gotta ask. Stress balls, T-shirts, show note pads and more, free! The code can be used by new podcasters and migrating customers. If you’d like to schedule a time to chat with us email MacKenzie@Blubrry.com. One of the most important parts of Podcast Movement is networking. You’ll be able to find us at the sponsored parties and social hours that week as well. Come up and say hi! Each year at Podcast Movement they induct a handful of podcasters into the Hall of Fame. 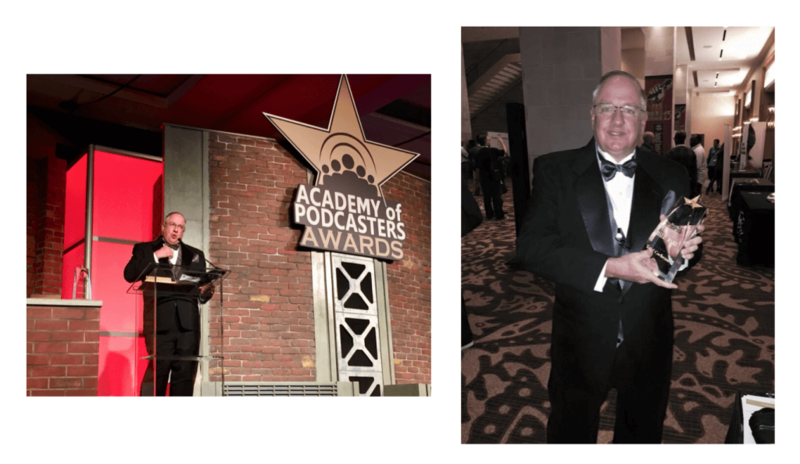 Our very own Todd Cochrane was inducted in the first year, 2015, for his achievements as a podcaster and influential person in the podcasting industry. Learn more about the awards and past inductees. Don’t miss the ceremony this year for the 2018 inductees. Learn more. Todd Cochrane accepting his Hall of Fame award 2015 in Fort-Worth, TX.